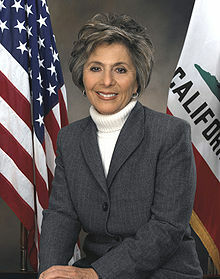 The senior Democrat and Republican on the Senate Environment and Public Works Committee — California’s Barbara Boxer and Oklahoma’s Jim Inhofe, respectively — each wrote an opinion this week for the Eno Center for Transportation about a proposed federal rule to require state DOTs to measure their impact on greenhouse gas emissions. Establishment of a performance measure for carbon pollution is critically needed now. Since 1970, carbon emissions produced by the transportation sector have more than doubled, increasing at a faster rate than any other end-use sector. By requiring transportation agencies to track carbon emissions, we can evaluate whether transportation investments are effective in meeting the goal of protecting the environment. The goal of the laws I co-authored is to improve the safety and advance the modernization of our roads and bridges. FHWA’s proposed GHG regulation would divert the limited time and resources of States and local governments away from this goal to pursue instead the administration’s unlawful and overzealous climate agenda. Yes, the “overzealous agenda” of transparently documenting how much carbon pollution is caused by billions of dollars of spending on transportation. FHWA regulators will be wading through these and many other comments in the coming months as they produce a rule that may or may not require states and regional planning agencies to finally measure their impact on the climate. If one party doesn’t even believe in climate change then it’s very counter productive to use that as the crux of your argument for limiting emissions. So while I blame republicans (on the whole) for this, I also blame democrats for not changing the basis of the argument to one of public health, an issue that everyone faces right now. Vehicle emissions are bad for people’s health and republicans will much more easily agree with that. So if you lower emissions for public health, you’ll also get them lower in helping combat climate change too. 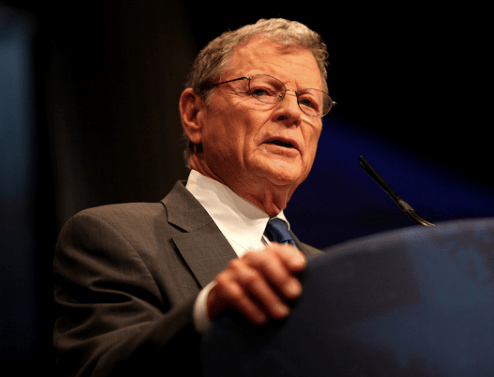 Republicans like Inhofe don’t care about public health. Look at the huge spike in maternal mortality in Texas. Look at the lead crisis in Flint Michigan. Look at pollution in general – they don’t care at all. All they care about lowering taxes and reducing regulations that could limit the profits of their donors. Full stop. If USDOT wants to have a material effect on CO2 emissions from vehicles then they should continue to work through NHTSA to develop higher CAFE standards for vehicles. If USDOT wants to know how much CO2 emissions are being produced by existing vehicles on the road they can already do that using existing national-level data sources from EIA and vehicle data. If USDOT wants to waste resources then develop a national measure which will do nothing to decrease CO2 emissions. I think they care about it more than they care about climate change. If you have politicians nowadays that don’t believe climate change is real then they should be out of politics. That disbelief proves beyond a reasonable doubt that you are not competent to represent me, regardless of your political party. Don’t you think it’s about time that we get these old politicians who possess such an archaic mindset that doesn’t represent the direction that we want to be moving as a nation in this day in age. Time to get more young, forward thinking minds that truly possess a different way of thinking that fall in line with how we are evolving socially. The mindset of the young that the colleges i mean indoctrination centers are very dangerous to freedom & liberty in this country. When you really look further in to what “man made climate change” is, it is about “people control,” not about saving the planet! The fact that they have tried to sue or threaten to jail people that deny “man-made climate change” throws up red flags that maybe “man-made climate change” really isn’t actually real. Flint Michigan has a democrat mayor I believe. So when there is a screw up, the democrats find a republican to blame. When will democrats ever take responsibility for anything they do or say? The rest of what you said the democrats are just as guilty, if not more so. Check your facts from a non-liberal source. Your intolerance of my intolerance is very noticeable as well. Yes, planet Earth goes through climate trend every couple thousands of years and so and who’s to say if the rise in temperature is due to that or anything else. What I guess I was trying to get at was people who are set in their ways and don’t have an open mind shouldn’t be making decisions for the country. I don’t know if you noticed but the world is constantly changing whether it is the culture, the economy, technology, or even the climate. With this ever changing world we live in we need people who can be open minded and accept new ideas and theories and at least acknowledge it and then chose whether to adequately write it off or not. Yes in my previous statement I made a strong stance on how I feel about who runs the country and that is only looking at it as a whole. I’m sure there’s plenty of older politicians that are open to change and like change but there’s still a good amount who aren’t. Also I have to disagree with you, I do believe climate control has to do with saving the planet. It’s about becoming sustainable as a species and being able to preserve what we have because at the end of the day if the planet is destroyed we as a species are destroyed. It seems to me that you don’t believe that every action has an equal or opposite reaction, that the billions or carbon emissions are not having any effect on world. Whether it’s proven or not you have to give it a fair amount acknowledgement and consider the idea before YOU blatantly try to write it off. @flamingofresh:disqus I agree. Times have changed. i see you aren’t able to think any further than what the left tells you. When the radical leftists that are pushing & preaching this stuff start practicing it, get back to me. That’s exactly the way I approach this problem. The words “climate change” seem to elicit controversy, so just start putting up pictures of people in cancer wards instead. Nearly everyone knows someone who has had cancer. Everyone can see and smell the effects of air pollution for themselves. It’s a major quality of life problem in urban areas. So is the noise internal combustion engines make. And there are also good geopolitical reasons for getting off fossil fuels. There are great economic ones as well. Avoiding the regular price swings of fossil fuels gives economic stability. No need to drag climate change into the picture at all. We’re shooting ourselves in the foot by doing so. Actually it seem all you’re doing is making assumptions about me that couldn’t be less accurate. Just because I side with the idea that humans are contributing to global warming doesn’t mean I’m just listening to what “the left tell me”. I believe humans are contributing to global warming because of all the empirical data and research that millions of dollars have been invested in to determine. There are mountains of research that shows the global temperature is rising and I don’t need anyone from the left or right to tell me if that’s true or false, facts don’t lie. However, it seems you are having a very difficult time to look at the big picture and instead think I have some sort of political agenda. My only political agenda is to have educated people in office who have the best interest for the country for the short and long term. As in most debates this can go both ways, and it appears to me you think global warming is a non human factor and is a direct result of cyclical global warming. You know what I believe that cyclical global warming may very well be a factor into the rise in current global temperatures but it’d be completely asinine and ignorant to think that that alone is the only factor and our carbon emissions and human activities play no role in contributing to the rise in temperature. So you’re telling me those smoke stacks that tunnel out copious amounts of heated exhaust day in and day out aren’t doing anything to the planet? Could you possibly explain to me what happens to all the emissions and exhaust that are released into the air on an everyday basis? Also in reference to your comment about Governor Brown being a hypocrite by having a strong stance on global warming and then taking huge sums of money from oil companies, I’m not surprised. First of all, let me make it clear that politically I don’t care if they’re from the left or right even though you feel that because of my stance on global warming that I must be a follower of the left. That’s mighty wise of you to make that assumption but believe it or not people, including myself, can have multiple beliefs that follow many different political party stances. Just thought you should be aware of that. Secondly, how surprised are you a politician is a hypocrite in this day and age. And who would have thought that he did it all in the name of money. It said that that’s how politics operate today and I for one am totally against it. I think we as a country need to start holding these politicians to a higher standard and make them far more accountable when it comes to representing us. Personally, I think people like Governor Brown should not be office. Hold your horses it’s not because he’s a “big radical leftist” it’s because he’s a liar. I think that any politician that lies through their teeth should be out of office, regardless of political affiliation. Of course people will go at me and say “keep dreaming”, “quit living in lala land”, “that’s not how the world works”. Well I know but if you’re not happy with something then you have to try to change it. Maybe if there were m,ore people fed up with this and actually tried to change the system then maybe we could make it happen. But you don’t know unless you try. The trees & plant life absorb the emissions & exhaust. If you are that worried, go plant some trees! Don’t worry the sky is not going to fall! Man made climate change would be credible if Al Gore didn’t have a “carbon exchange” Follow the money! Carbon taxes, again follow the money. You are being being bamboozled by these people. The mindset of the young that the colleges i mean indoctrination centers are very dangerous to freedom & liberty in this country. When you really look further in to what “man made climate change” is, it is about “people control,” not about saving the planet! No surprise another ignorant lefty comes out of the wood work. Oh and by the way, I blocked you for that unAmerican comment. That’s nice, noname. But other people will see your comment and know how insane you are. Check your facts from a non-liberal source.